Want a sneak peak of Sydney? Only have one day in this beautiful city and wondering how you should spend it? 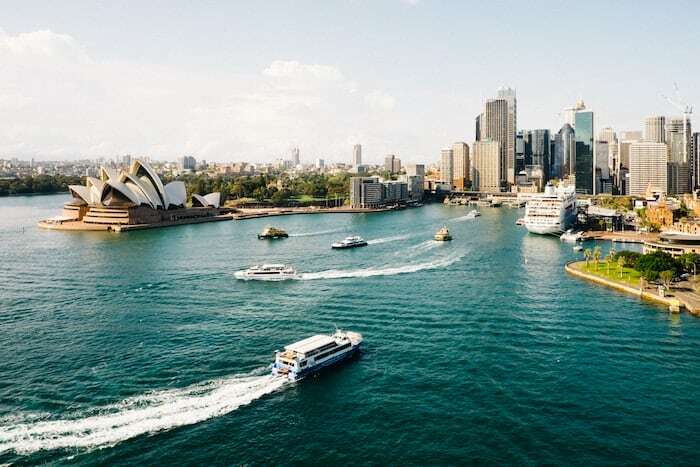 There are so many things to do in Sydney, so we’ve created the perfect itinerary for you so you don’t have to waste any of your precious time here. While one day is far too short, 24 hours in Sydney is just enough to get a taste of this vibrant city. Be prepared for a full day of walking, exploring and eating your way through Australia’s biggest city! With only one day in Sydney, it’ll be difficult to both explore the city and also have a beach day. Luckily, it’s not impossible. We recommend staying at the beach so you can spend your morning on the sand, soaking in the gorgeous views. 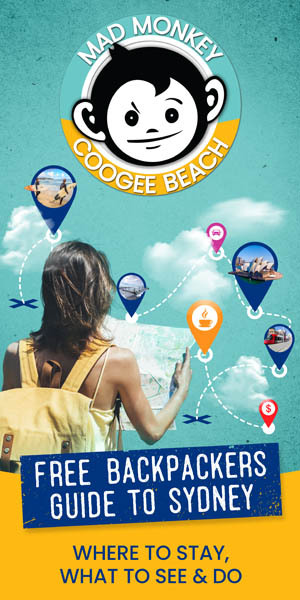 Both Coogee Beach and Bondi Beach are excellent choices (we obviously recommend Mad Monkey Coogee Beach, the first Mad Monkey in Australia!) Not only do they have incredible views with a thriving social scene, but they also have a wealth of accommodation options to choose from. 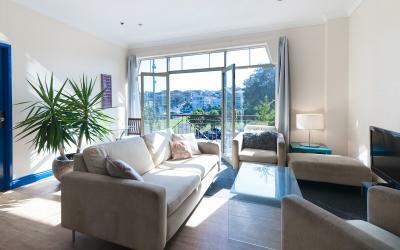 For our personal recommendations, check out our articles about Bondi accommodation, and our Coogee Beach Backpackers Guide. If you prefer to stay in the city (who can blame you), we’ve also rounded up the top places to stay in Sydney. The ideal months to go to Sydney are September through November (spring) and March to May (autumn). 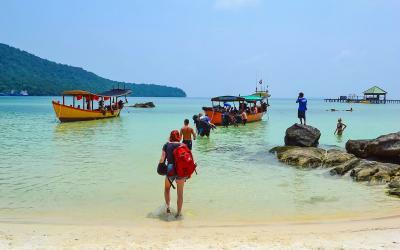 Outside of both the high season and low season, these months are also more affordable and less touristy. Temperatures are pleasant, ranging from about 11 – 23°C (52 – 73°F) in spring and 14 – 22°C (58 – 72°F) in autumn. Sydney weather never gets too extreme with temperatures between 18 – 26°C (65 – 78°F) in summer and 8.8 – 17°C (47 – 63°F) in winter. Grab some breaky and a flat white at The Little Kitchen or Barzura for some picturesque morning views. An early start is recommended so you can pack in as much Sydney exploring as possible. 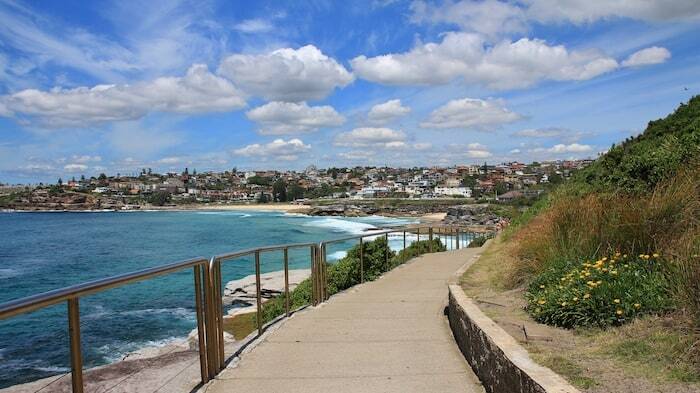 Our first stop will be a walk along the ocean: the famous Bondi to Coogee Coastal Walk. Regardless of what season it is, this walk boasts gorgeous views of Australia’s rocky coastline and clear, turquoise water. If you fancy a quick dip, there are plenty of rock pools to choose from. For those wanting to check out the diverse marine life Sydney is known for, dive into Gordan’s Bay with your snorkeling gear. History buffs rejoice, you’ll be trekking along rock deposits called Hawkesbury Sandstone, which dates back to over 300 million years ago when Australia and Antarctica were still connected, forming the supercontinent, Gondwanaland. 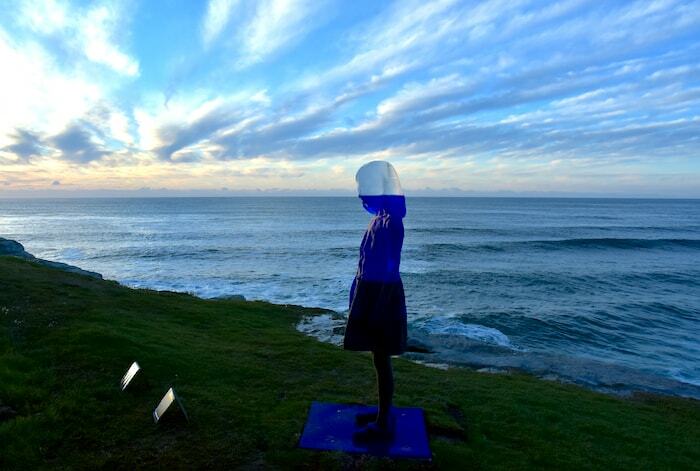 If you’re an art lover, this coastal walk was meant for you as well. 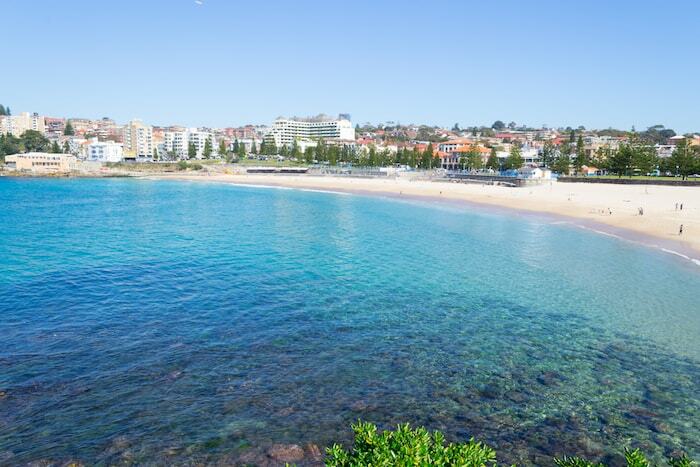 The Bondi to Coogee Coastal Walk hosts the annual Sculpture by the Sea exhibition, showcasing the work of local and international artists. There are over a dozen other coastal walks in the area. For more, check out 14 Super Scenic Coastal Walks in Sydney You Must Try from Adventures & Sunsets. 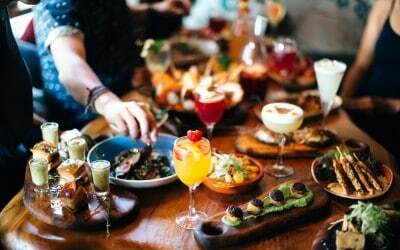 For more restaurant recommendations, check out our list of the Best Coogee Restaurants. Now that you’ve gotten your exercise for the day, it’s time to recharge. 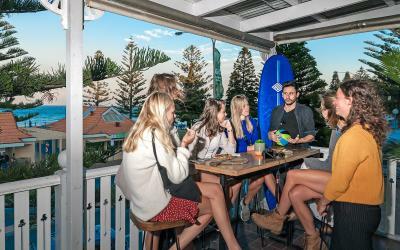 Grab some tapas and a margarita at The Anchor in Bondi or dine with a view at The Coogee Pavilion. We’ll be leaving the beach for now and heading into the city. Hop on a bus or train and make your way to Milsons Point Station. This will be our kick off spot to the picture perfect Sydney scenes that lured you to this city in the first place. From the station, head to the pedestrian pathway to the Sydney Harbour Bridge. 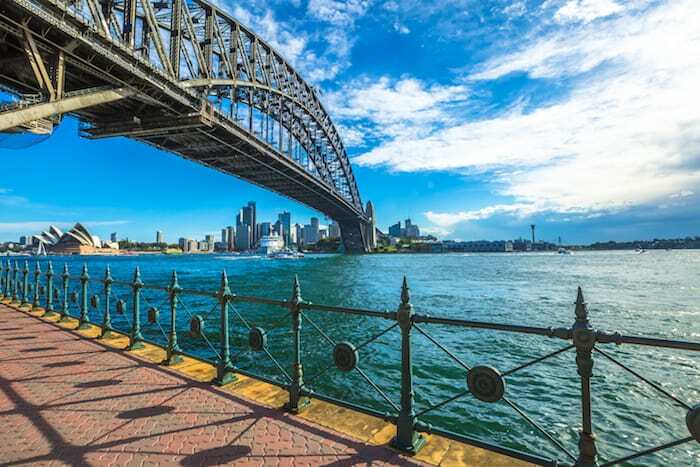 This 20-minute walk offers the best views of the city and the iconic Sydney Opera House. After this walk, you’ll find yourself in Circular Quay. If you’re lucky, you might catch a festival here with live music and other performances. Otherwise, it’s still a scenic area with spectacular views. Now that you’re in the CBD, there are endless options for the adventurous or those just wanting to relax. 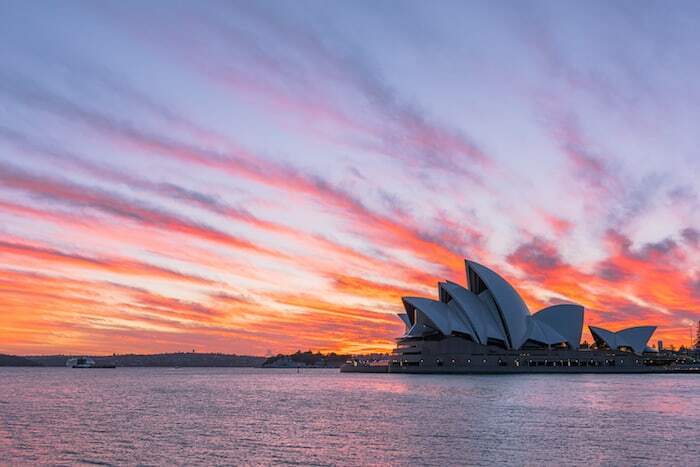 Check out the historic laneways of The Rocks, meander through the vendors at Paddy’s Market, visit a museum, wander through Hyde Park or the Royal Botanic Gardens, and get a closer look at the Sydney Opera House. You probably won’t have time for everything but luckily, all of these places are within close proximity. You don’t have to see a show to see the Opera House. Admire the architecture up close and enter the lobby, free of charge. To find cheaper tickets for a show at the Opera House, go here. If you decided to walk the city in the morning instead, join this free walking tour. Sunset is the ideal time to view the city at its prime. Golden hour looks especially good on Sydney and what better way to experience it than on the water? Take a ferry from Circular Quay to Darling Harbour and you’ll cruise past the Opera House and under the Sydney Harbour Bridge. If you time it right, you’ll be able to see Sydney at sunset and also as the lights turn on and reflect colorfully over the harbor. 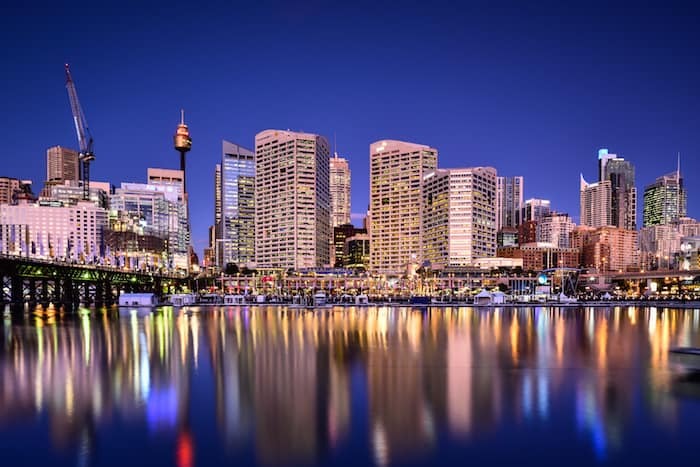 Afterward, you can enjoy dinner at the picturesque Darling Harbour to get the ultimate city life experience, or head into the neighboring areas for a bite and some drinks. 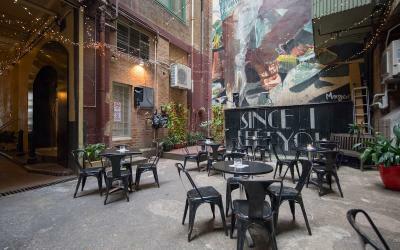 There are so many awesome pubs and speakeasy bars in the area so you can mingle with Sydneysiders and fellow backpackers, ending a perfect day in Sydney. Don’t get lured into a tourist trap, check out these amazing bars and pubs that are Mad Monkey approved. If possible, schedule your trip around Vivid Sydney, a festival that floods the city with color and light. Read our Sydney Backpacker Guide for where to stay, where to eat, things to do and more! If it’s your first time visiting the island continent, check out our Australian Culture, Customs & Etiquette Guide, which includes information about the tipping culture, food that you have to try, common Aussie phrases and words, plus other travel tips. Want to pack your bags as efficiently as possible? 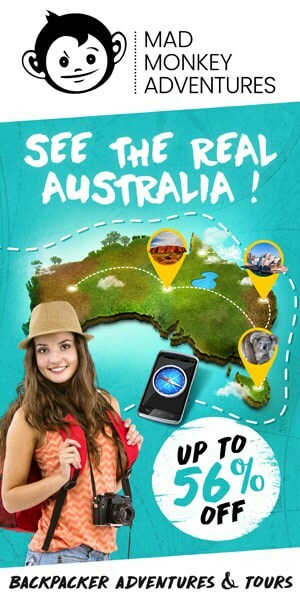 Check out our Australia Packing Guide to ensure you have everything you need and nothing more. 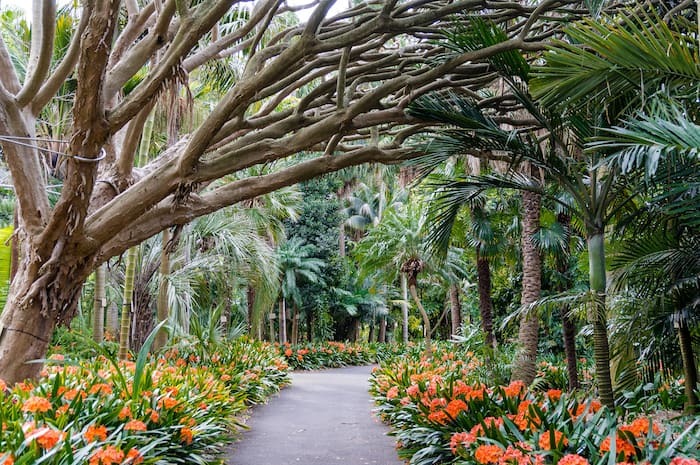 If you’re staying longer than a day, read up on other things to do in Sydney. Find the best stretch of sand to lay out on with the help from our Sydney Beaches Guide, discover unusual things to do or peruse our list of the best things to do in the city. 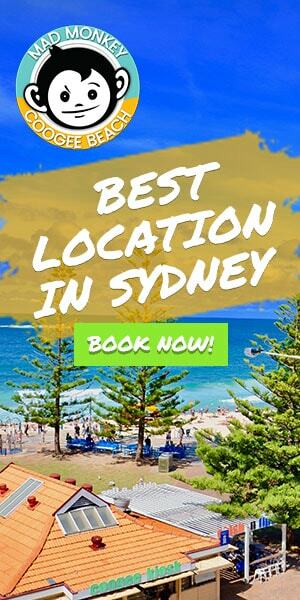 For more information on Sydney, go here. 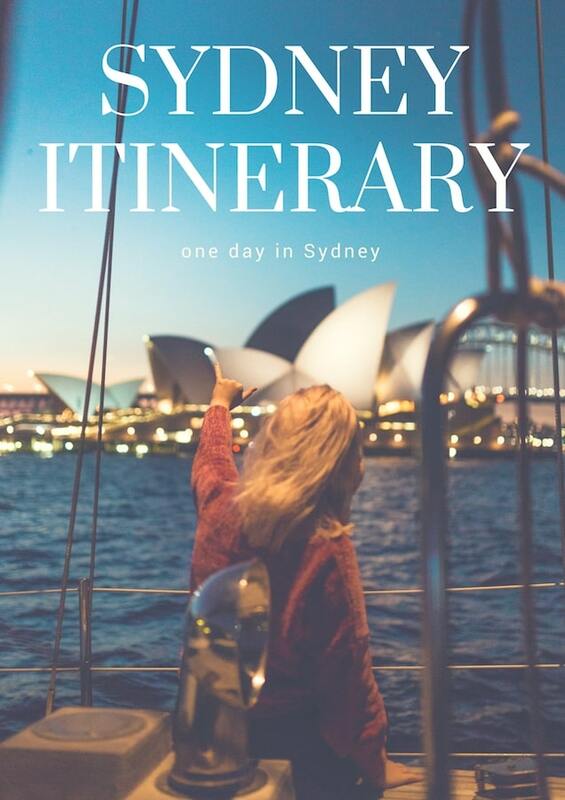 7 Days in Sydney Itinerary – For Those Who Want a Bit of Everything! for Where in the World is Nina?